One of Houston’s top dermatologists, Dr. Perri has been honored as a Top Doctor in H Texas magazine for the past seven years as well as a Rising Star (2012–2014) and Super Doctor (2015–2017) in Texas Monthly magazine. “Having a father that is a melanoma survivor has certainly influenced my commitment to the early detection of skin cancer” says Dr. Perri, a board-certified dermatologist also distinguished as “Best of the Woodlands Winner” (2014–2018) in the Woodlands Online. 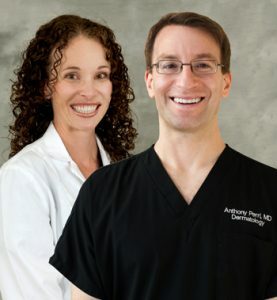 At Perri Dermatology, with two convenient locations in Conroe and The Woodlands, he and Dermatology Physician’s Assistant Melissa Shearer, PA-C, treat many different skin conditions and are committed to ensuring that patients do not have to wait months for an appointment.